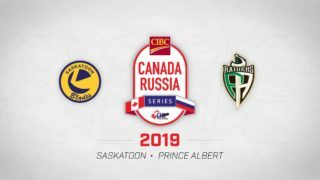 Saskatoon, SK – The Pac is Back! 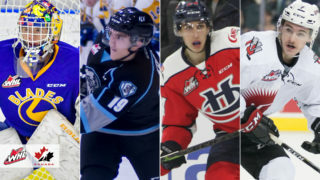 The Saskatoon Blades have called on fan favourites from the past for this Friday’s home opener presented by Merlin Ford Lincoln to officially bring back the beloved pacman uniforms and logo to the ice. 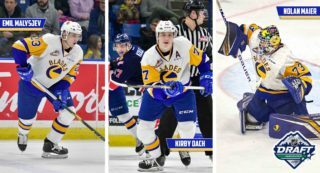 Several notable alumni will be on hand to usher in the new generation of Blades to don the blue & gold. The Blades will also recognize a former captain from the pacman days who is an exemplary person beyond life as a player. The fun starts early on Friday with the doors opening to SaskTel Centre at 5:30pm. Fans can enjoy happy hour specials at the concessions while taking in two live bands on the concourse level. Merlin Ford Lincoln is also giving one lucky fan a chance to shoot-to-win a new car. Prior to the opening face-off the Blades ask fans to be in their seats at 7:00pm for a special ceremony. Blades’ alumni members will be welcoming the 2017-18 roster while standing alongside their former captain, Bruce Gordon, to fight a battle that goes far beyond the ice. Few epitomized what the Blades and the pacman logo stands for more than Bruce. Bruce captained the Blades in the early 80s before going on to a storied career with the Saskatoon Police Service. Afterwards, he enrolled in university and earned a law degree. He made an incredible impact on people in rinks, courts and communities, showing care and compassion while fighting to ensure things are done the right way. He was recently diagnosed with pancreatic cancer and he’s tackling it the way he’s faced every other challenge in life – stoically while thinking of others. After his diagnosis, he went out and set a record winning a triathlon. 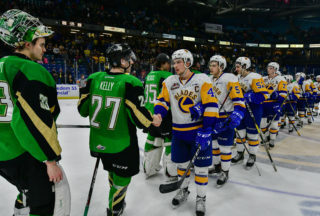 Blades alumni are coming from across the prairies to Saskatoon to rally around their captain in a special pre-game ceremony. The Voice of the Winnipeg Jets, Dennis Beyak, who was the Assistant General Manager on Bruce’s teams, is flying in to emcee a program that will also feature Bruce’s teammates, including 2-time Stanley Cup Champion Brian Skrudland, former Philadelphia Flyer and Vancouver Canuck Daryl Stanley, former Edmonton Oiler Todd Strubey, long-time Blades Dave Chartier, Roger Kortko, and Ron Dreger, and a host of others. Former General Managers and Coaches Jackie McLeod and Daryl Lubiniecki will also be in attendance. Police officers in Saskatoon and Regina are also mobilizing to come out Friday in support of Bruce. The same is true for lawyers, triathletes, and cross fit athletes as they all come out to join Bruce, his family and hockey fans at the event. The game will feature a number of fundraisers for the fight against cancer. Proceeds from the auction of a Kelly Chase signed jersey, the sale of “Be Like Bruce” t-shirts and the 50-50 will all generate money for cancer research at the Royal University Hospital. 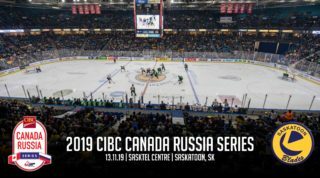 The Blades will also unveil some initiatives to ensure their players hit the ice and Be Like Bruce when they take on the Swift Current Broncos, as well as other opponents at SaskTel Centre this year.